Italian designer Andrea Ponti has designed eight chairs representing the personalities of city windows and the worlds built by the people behind them. Hong Kong’s dense population demands a specific architecture, where its many high-rise buildings stand closely next to each other in a grid-like fashion. While many see it as standardized and predictable, Ponti looks up and sees a group of individual windows filled with color and unique stories. Ponti’s chairs are part of a larger project called Shadows in the Windows, which comments on the urban density of Hong Kong. Each chair in the collection illustrates a window and the frames, silhouettes, lights and textures that exist behind it. 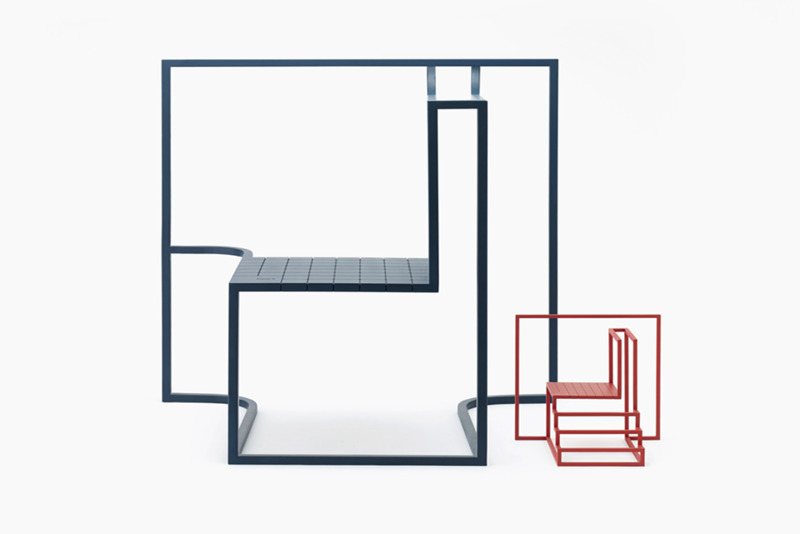 While each piece has its own personality, all of the chairs follow a single design concept: a square window frame, the contour of a chair, clean lines, steel and ABS.